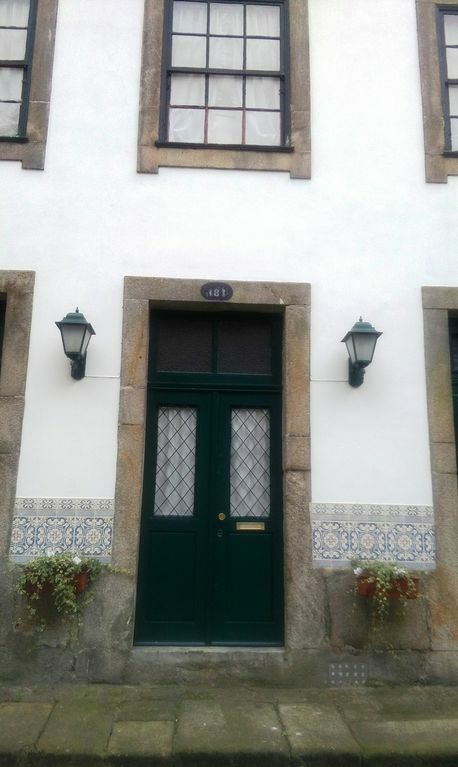 The Porto apartment is in a great location, easy walking distance to restaurants, cafes, shops and tourist attractions. It is in the host’s, Jose’, traditional 300 year old family house, updated with all the modern amenities. The old beams in the ceiling and the stone walls give it an authentic Portuguese living experience. It was a perfect base to explore the city. Jose’ the owner was an excellent host. He picked me up at the airport when I arrived and took me to the train station when I left. On arrival he took me on a walking tour of the surrounding area so I could get acclimated to the city and all it has to offer. He made many recommendations for places to eat, shopping, sightseeing and where to get the best croissants. He took time to show me the refurbished Palacio do Freixo, turned hotel, on the river. Jose’s love for all things Porto is evident and he eagerly shares the history of his family, his city and his county so that you will fall in love with the Porto and Portugal as well. This was one of my most pleasurable and unique experiences in a HomeAway stay. I highly recommend this rental and would definitely come back again. Many thanks Jose’. It was a great pleasure to meet you. Wonderful, roomy historic building with most sites within walking distance. Our lovely host Jose was simply incredible. He went above and beyond to ensure our stay got off to the best start possible. His love of Porto and his family’s history was obvious and contagious. We very much enjoyed exploring Porto and staying in Jose’s house but most of all meeting a true Portuguese gentleman who loves life and his city! Thank you kind sir! Jose met us at the airport and showed us around his beautiful city. He was the perfect host and now a lifelong friend. We were staying in his own family home where he grew up - a great area full of local colour and life. We had a week in Porto and we could have stayed a lot longer. Jose came to pick us up at 6.30am to take us to the airport at the end of our stay - way beyond the call of duty. A wonderful man, wonderful house and wonderful city. Thank you HomeAway for another memorable Portuguese experience. The apartment is very nice, and easy walking distance to local sights, and cafes. Jose is a kind and generous host, picking you up at the airport, giving you helpful suggestions, and sharing his love of Porto. We had a wonderful time and would definitely recommend to anyone traveling to Portugal. A300 year old house, an owner who loves his city and is happy to share his local expertise, and you end up with an amazing experience. Truely a great time. Our host Jose was awesome!! He met us at the airport , then took us to the property which was a beautiful 300 year old house that had everything you could ask for. Jose then took us on a short walk and gave us an introduction to Porto and all it has to offer. Overall we had a great time in Porto, it is a wonderful city and our stay was more than we could have asked for. Thank you to our host Jose and the wonderful people of Portugal. You can use the subway stations 'Aliados' (yellow line) and 'Campo 24 de Agosto' (remaining lines, including the airport line). If you are driving look for the direction Freixo and then take the exit Campanhã. You can start your exploration of Porto in the surrounding areas: look for the collection of historical azulejos in the Public Library, contemplate the bold baroque façade of the orphanage of Esperança, stroll in the Gardens of the faculty of Fine Arts or in São Lázaro; the cathedral and the medieval walls are not far either (even the local MacDonalds in Aliados has great architecture!). If you are into jazz music, the "Tribeca" club is a must; if you are looking for iconic buildings, visit the café "Majestic" and the "Lello" book store, not far away rises one of Porto's most important landmarks: the Torre dos Clérigos. The local cuisine is great: gourmets will be more than pleased with the neighbouring "Abadia" (Ateneu Comercial Street), "Escondidinho" (Passos Manuel Street) and "Rogério do Redondo" (Praça da Alegria, just next door to the house). For families and individuals, the Churrascaria Amércia is a great option, with extremely good-value and genuinely typical choices (try Sarrabulho and Febras!). Ribeira and Clérigos, the two hotspots of Porto nightlife, are also within walking distance (15 min). To go to Ribeira you can also take the scenic funicular of Guindais. Within walking distance, also lie the way the famed port cellars (via the bridge to Gaia), the cathedral and the city walls and to the Casa do Infante, the house where Henry Navigator was born, and the nearby attractions. Entrega das chaves pelo proprietário. Proprietário ausente durante a estadia.